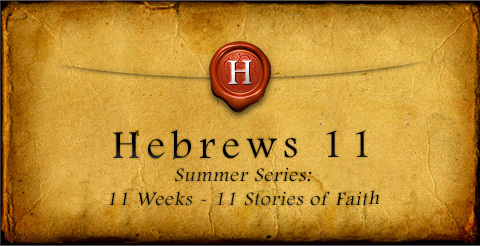 This past Sunday I talked about how “Faith is: Giving God Your Best“; part of our Hebrews 11 series. Over 100 people stepped out in faith and took the 90 Day Giving Challenge. This week I received a couple of emails from people who have taken the challenge and God has honored their faith. I hope these stories will encourage you as much as they have encouraged me. We knew, going into the summer that we were going to be short financially. My childcare job ended and that left us with a $654 deficit every month. In anticipation of that we saved enough to cover that deficit for a couple of months. Then, the end of May, disaster struck when our car died and needed an expensive repair. All our reserves for the summer were spent in one day. We were concerned (especially me) but continued to pray and faithfully give God our best, believing that somehow, He would take care of us. To be honest, submitting our tithe online was very difficult for me that week. I knew the numbers wouldn’t add up. I knew that the money I was sending to the church could buy us groceries, or pay a bill. But I also knew that God had us. He always has. So, we put faith in that unseen provision and kept walking. Two weeks later, we discovered that my husbands paycheck was $400 higher than we expected due to overtime and holiday pay. We held a garage sale and earned $179. Then today we received two checks in the total amount of $75 for my husband’s birthday. What does that add up to? $654. God knows. We trust Him. We will keep giving Him our best. He’ll take care of the rest. In my job, I get paid per client that I see and I bill per session. Sometimes the client’s monthly Medicaid budget essentially is all used up and I don’t get paid for work that I’ve done. I have an ongoing “rejected” box where those unpaid sessions sit. Last night, as I was doing my billing, I noticed a bunch of rejected notes from last summer had randomly moved out of my rejected box. I learned today that the Medicaid funds were there the whole time, and just needed to be adjusted somehow, so I will now be getting paid for those sessions from almost a year ago. I just added it up and it totals about $275. So the cool thing is, yesterday at church, when my husband and I filled out our commitment to giving card, we decided to be one of the “if 40 people gave an extra $200 a month” people. We committed to it without a plan for how that was going to happen. ONE day later, God proved Himself faithful. Just like that, we already have our first month’s commitment. I mean, we didn’t even have time to sit and talk about where it would come from! It is pretty fantastic realizing how that just happened. How has God been faithful to you through your giving? Share your story of encouragement with others by posting a comment below.